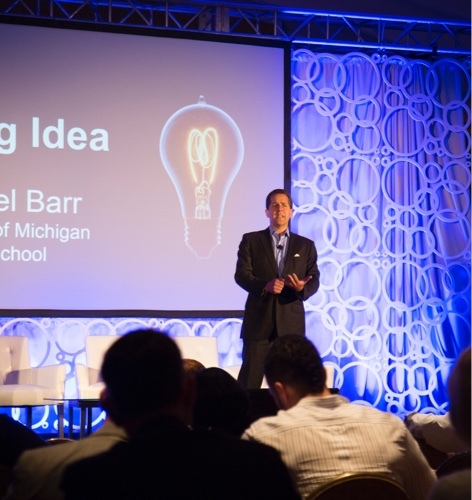 Over 160 like-minded organizations committed to creating the future of financial health. Together, our members reach over 200 million Americans, 80 million of which of low-to-moderate income, with innovative products that pave the way for financial health. Learn more about our collective impact. CFSI has outlined seven stages that can guide your company’s financial health journey. 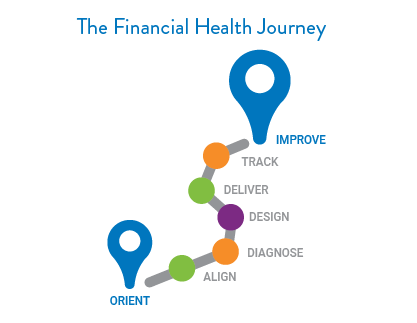 Starting at Orient, the iterative cycle will help you along your path to improve consumer financial health. J.P. Morgan Chase & Co. and Intuit Inc. have entered into a new agreement to let the bank’s customers check account information on the technology firm’s sites without sharing their Chase passwords. Walmart and Green Dot are helping prepaid cardholders shore up their finances through a prize-based savings program. For Jon Schlossberg, CEO and co-founder of Even.com, improving the plight of ordinary Americans and their finances is a deeply personal and professional mission. 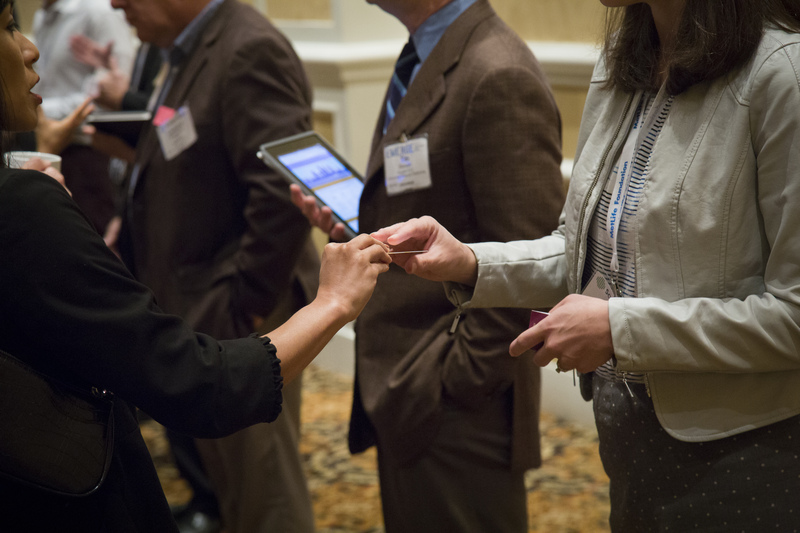 Members get access to cutting-edge research, peer-to-peer best practices, and real time collaboration during our annual EMERGE Forum. Insight into what the marketplace needs through advanced consumer and industry research, fact-based advice and peer-to-peer learning. Perspective based on our established reputation, decisive and respected voice on consumer financial needs and deep well of research and experience. Connection by joining members together at the table of financial services innovation and thought leadership, where they can see and be seen by other leaders and influencers. 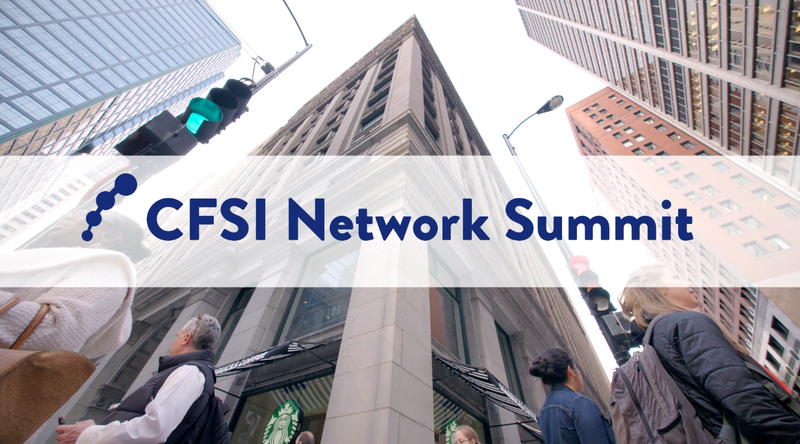 My conversations with CFSI have tremendously influenced the way that I think about the issues and the problems...how can we use technology and other forms of processes to drive financial health. The fact that this financial health initiative is something that regardless of whether it's credit union or bank or different types of organizations, we're all coming together. And we're learning. We're building. We're being creative. All of that's built upon this network which was set up for us. What membership does not mean. Endorse members or their products/ services. Represent member interests with policymakers or regulators. Extend the privilege of membership to organizations that seek the above as outcomes of membership. We reserve the right to decide which organizations belong in our Financial Health Network. Members do not have any control over CFSI’s agenda, research, or any public policy positions CFSI may take. Membership is by invitation only. Questions?